Benjamin has been teething now for almost two months. With no end in sight (baby teeth generally don’t start making an appearance until around six months and then it can take months for a complete set), to stop ourselves from going totally insane, we’ve been on the hunt for anything to help make things easier for him (and our eardrums). 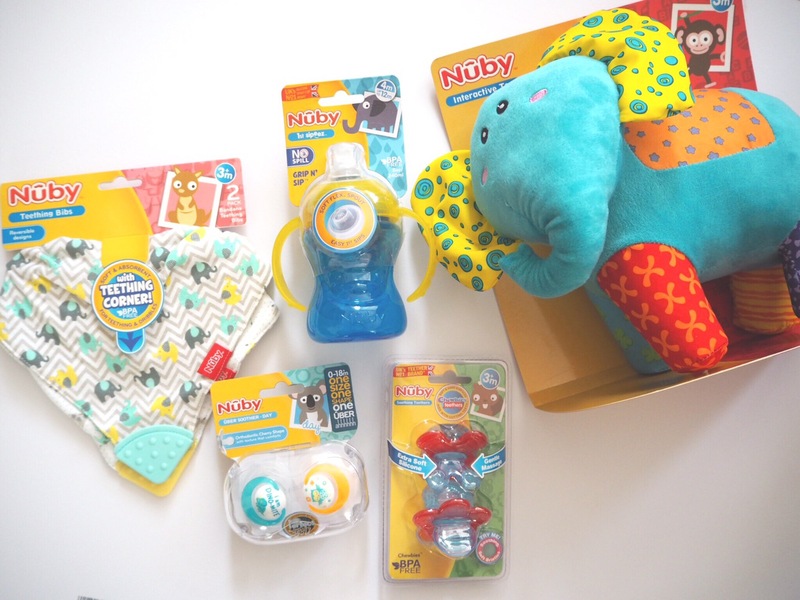 This month, Benjamin became an official brand rep for Nuby U.K. We were very lucky to receive a box full of goodies from Nuby and fortunately for us, these included some teething essentials! 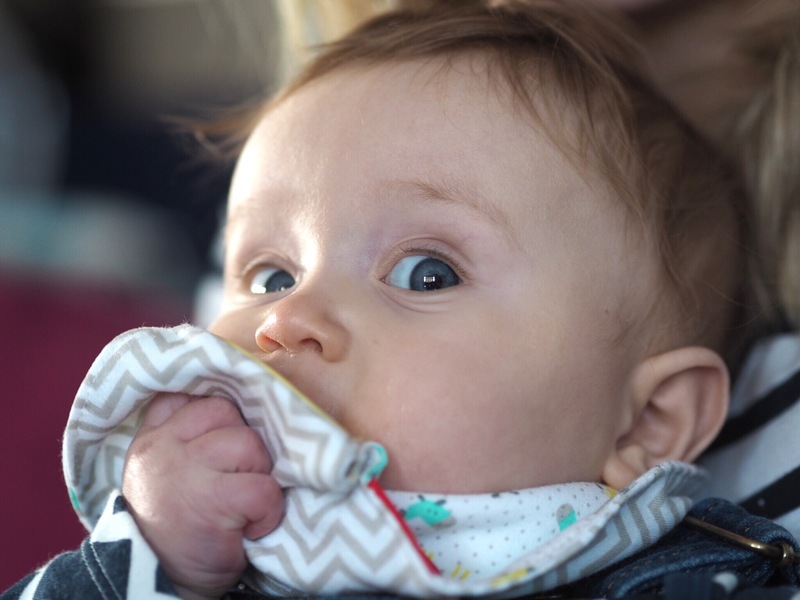 I have had my eye on these teething bibs for awhile now. 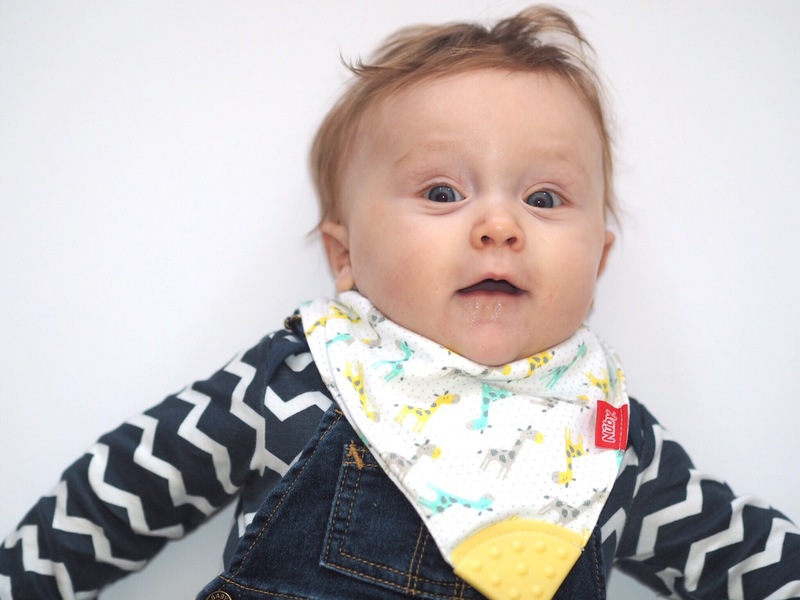 In my opinion, bandana bibs always look more stylish than normal bibs, and these ones have the ingenious addition of a teething triangle on the bottom, which is perfect for Benjamin to shove in his mouth himself to have a chew on when the pain gets too much. I hadn’t come across teething ‘dummies’ before but I am a complete convert now having seen how easily Benjamin has taken to them. These don’t have teats, but instead brilliant soft textured massaging bristles which Benjamin likes to bite down on to ease discomfort. The other great thing about these teethers is that they have a thin handle, perfect for Benjamin to grip hold of, meaning he can pull it out and put it back in himself again whenever he needs to (obviously with supervision from myself or Ed to ensure safety). The teethers are £3.99 for a pack of two. Although Benjamin still struggles a little with keeping a dummy in, we will persevere. 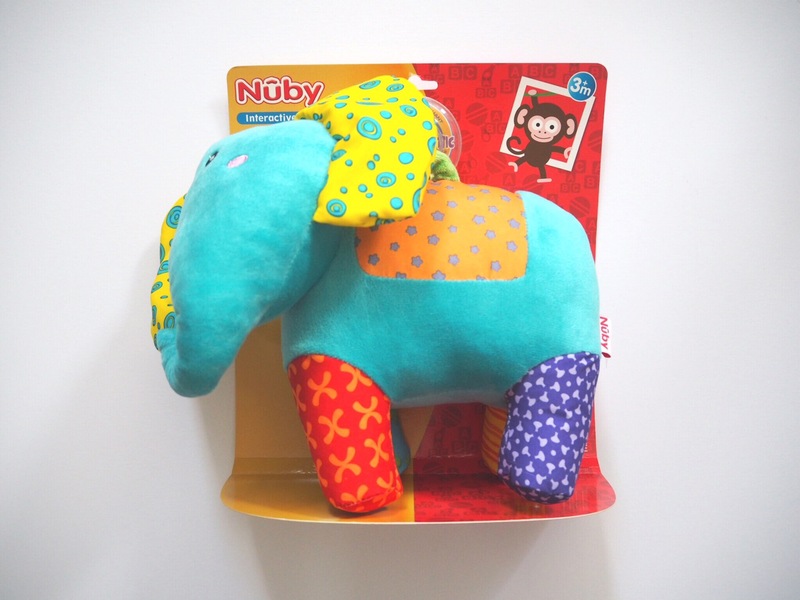 These ones, priced at £4.49 for a pack of two are super cute and brilliant for a teething little one who needs comfort after another long night in pain with broken sleep. I also love their range of Snoozies & Soothers (which weren’t in the box but my mum got Benjamin a monkey one recently). 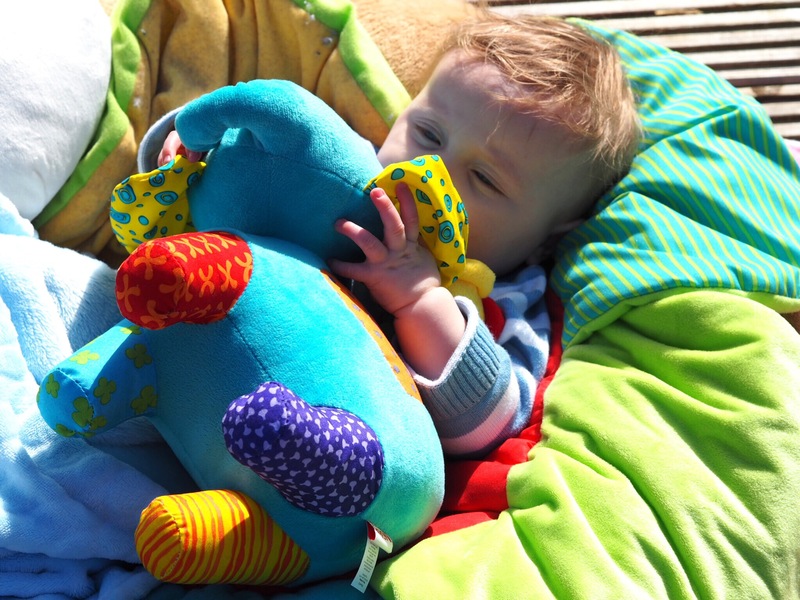 These are brilliant as babies can hold onto the cuddly toy at the same time as using their dummy, or the two can be used independently (Benjamin has become very attached to his). They also have a giraffe version. These are £5.99. 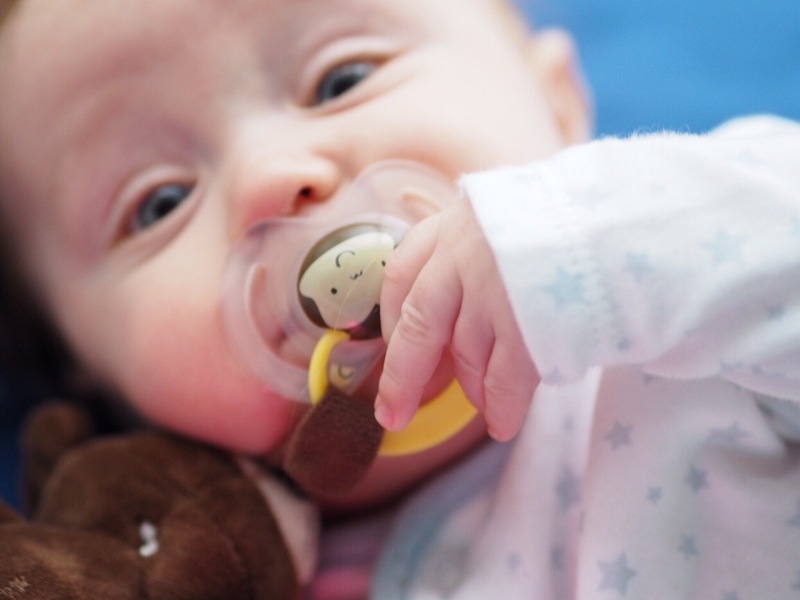 Have you found any other teething essentials that have helped your little one? 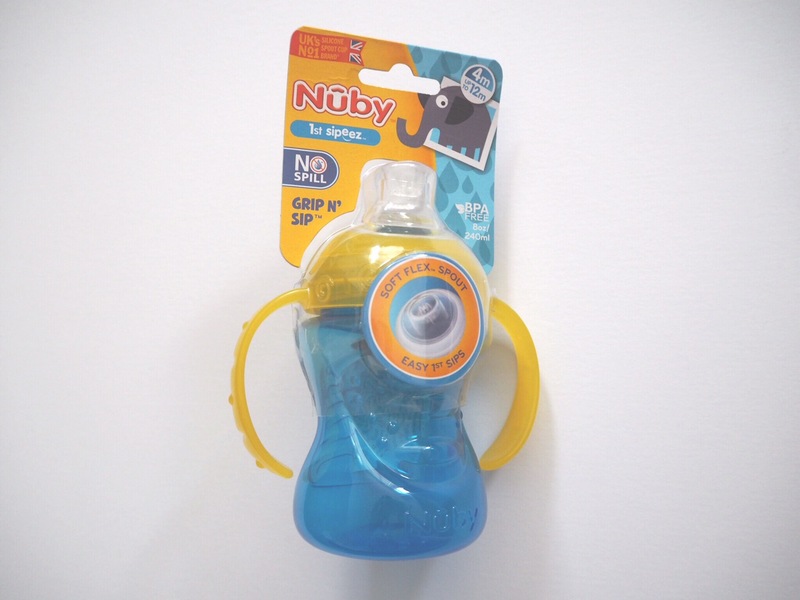 These products were sent to us by Nuby as part of their brand ambassador programme. All opinions are my own. 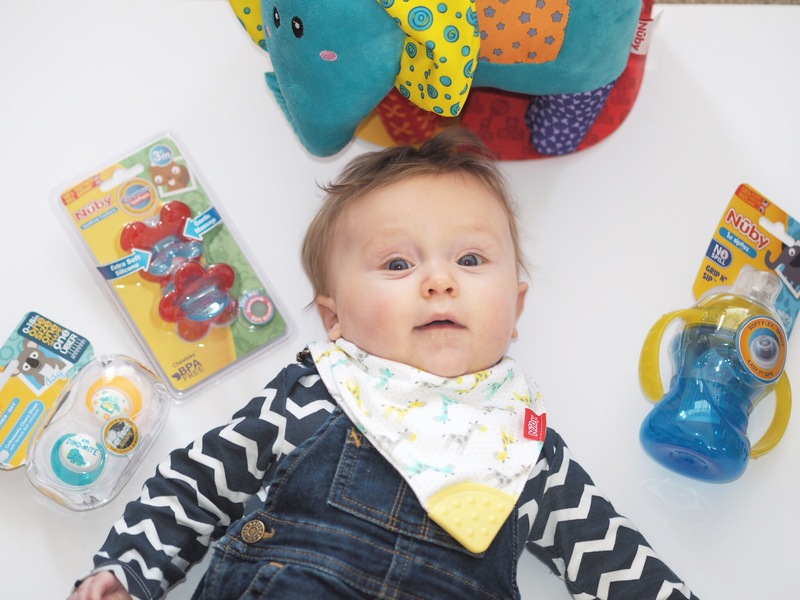 I love those bandana bibs – they are so cute!! 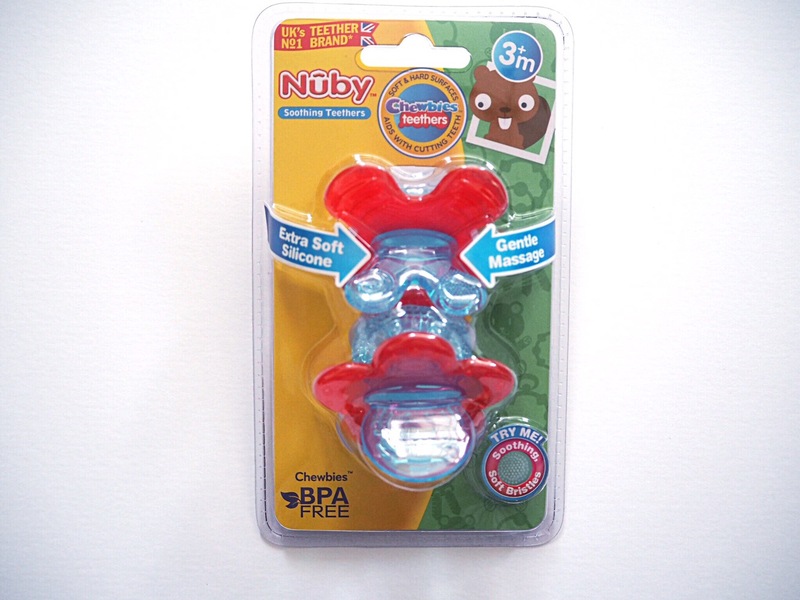 We loved these when Alfie was teething. Even now when his teeth are bothering him only chomping on something makes him feel better. 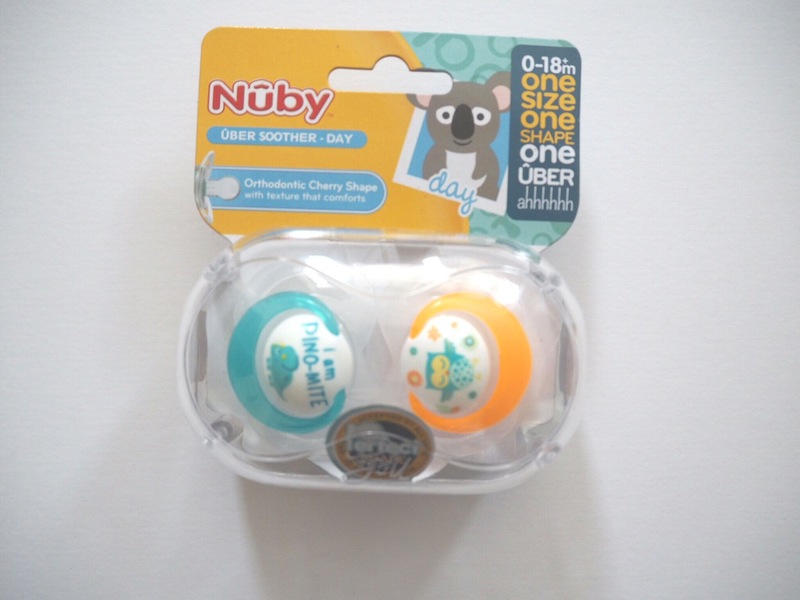 We love Nuby too! The bubs look fab I know what you mean about the dreaded dribble patch- especially in cold weather means changing their top so many times! Now Lily is 2 we use a Nuby beaker with a straw which she loves! Oh I so remember the pain of teething with my boys – this stuff looks great to help little through the agony. What a little cuteypie! he looks like he’s enjoying himself! 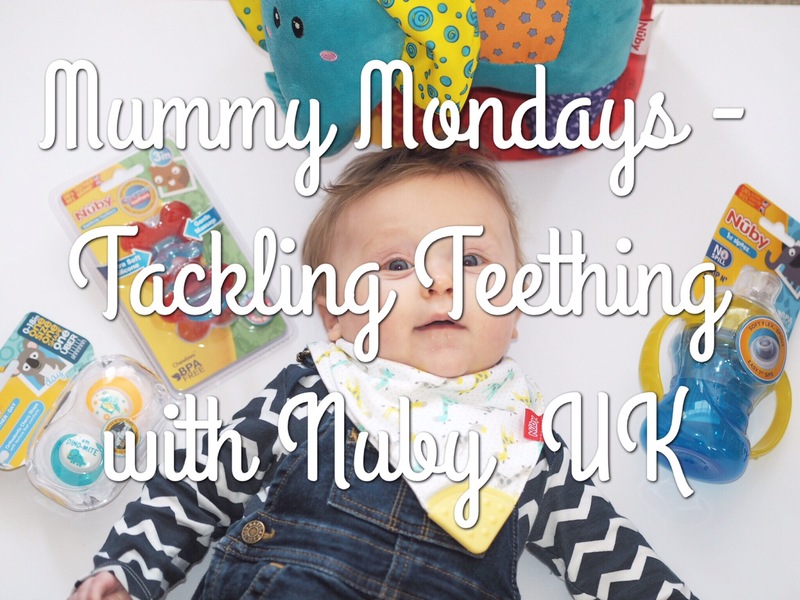 I love Nuby for teething aids, Ben really gets on with the chewy soothing teether but thinks the keys are toys rather than something to help his teeth haha!